Kara Robertson, a Nevada-based veteran race director (Slam the Dam + Las Vegas 10) and a renowned open water swimming coach with Swim Las Vegas, swam 10.85 miles from the base of the Hoover Dam in 52-54ºF water. "55ºF is my ideal temperature." In 2008, Robertson swam the unprecedented 10.85 miles from the base of the Hoover Dam in 52-54ºF water down the Colorado River through Black Canyon just before Willow Beach, a swim that became the inspiration for Slam the Dam event. "I paid for a kayak permit and was dropped off [to attempt the swim]. My friends pulled me out just before the pickup area at Willow Beach because I was hypothermic. I remember it was cold, the canyon was beautiful and every time a kayak passed me, they cheered me on. 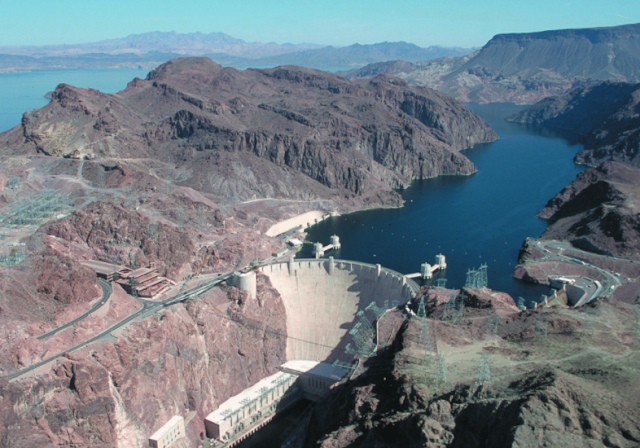 That swim was the inspiration for Slam the Dam, but we couldn't get authorization from the Bureau of Reclamation to host the swim there due to safety issues." She planned, she attempted, she did her swim with the logistical and operational help of her friends upon the authorization of the local authorities. She wanted to give others similar opportunities, but eventually she had to host her event elsewhere. In contrast, a 28-year-old visitor from Wales, Arron Hughes, who Fox News claimed was the the first person to swim across the Hoover Dam, did not pre-plan or organize his swim with the authorities. "A stunt that has claimed 275 lives in the last decade," reported Frank Miles of Fox News. “When I got to the Hoover Dam I just thought...you only live once, no regrets,” described Hughes about his 30-minute post-bachelor party swim. For very good reasons, planning, logistics, safety plans, and pre-race authorizations provide the essential foundation of responsible open water swimming. Luck cannot be counted on - especially when alcohol is involved.